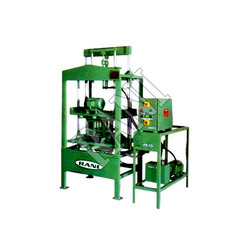 Pioneers in the industry, we offer paver block machine from India. As a leading manufacturer and supplier of Paver Block Machine, we have been recognized as a trusted name in the market at the present scenario. These are specially designed for paving block which is used in foot-path, car parking and open places. The machine processes very easily and eliminates wooden pallets, sheets and large working concrete area. At the same time of production it is possible to carry the blocks from one place to another.